I am excited to see that the YCT of Texas Pac has come out and endorsed Rep. Bryan Hughes. It is great to see young people taking an interest in the political process and lending their voice to the cause. It is their future at stake. AUSTIN, TX — Today, the Young Conservatives of Texas PAC (YCT-PAC) announced their endorsement of State Representative Bryan Hughes for Speaker of the Texas House. Rep. Bryan Hughes has earned an “86” career rating with YCT, which places him amongst the organization’s “Historic Honor Roll” of top conservative legislators. An article containing the leaked redistricting emails with commentary can be found at RedState.com. YCT, which was founded in 1980, issues the most respected ratings of the state legislature and is the only conservative group to have done so without interruption over the last 19 legislative sessions. YCT has chapters at universities across Texas. To learn more about YCT, their legislative ratings, or their endorsements visit www.yct.org. 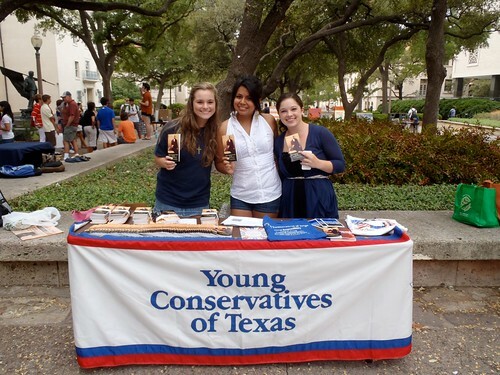 YCT-PAC is the political arm of Young Conservatives of Texas, a non-partisan organization which has promoted conservatism at universities across the Lone Star State for over three decades. The State’s most active political youth organization, YCT is composed of hundreds of members and alumni who participate in the full spectrum of politics. YCT issues the most respected ratings of the Texas legislature and is the only conservative group to have done so without interruption over the past 19 legislative sessions. For a full list of YCT’s endorsements, please visit www.YCT.org/endorsements.